Tiger Balm offers a full line of quality pain relieving products. Join the many that say, "Tiger Balm works where it hurts". 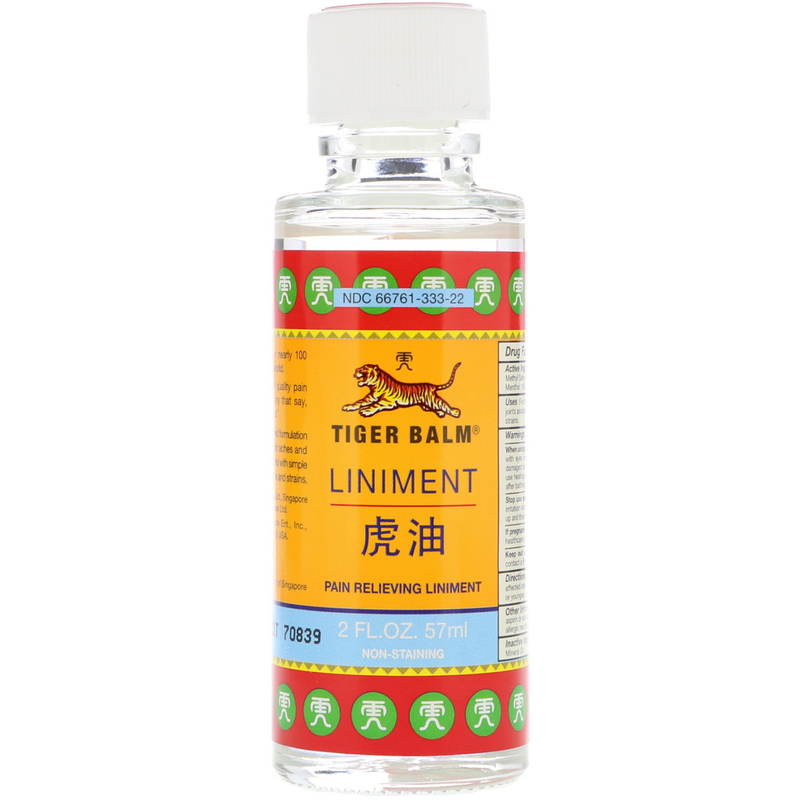 Tiger Balm Liniment's concentrated formulated provide temporary relief of minor aches and pains of muscles and joints associated with simple backache, arthritis, bruises, sprains and strains. 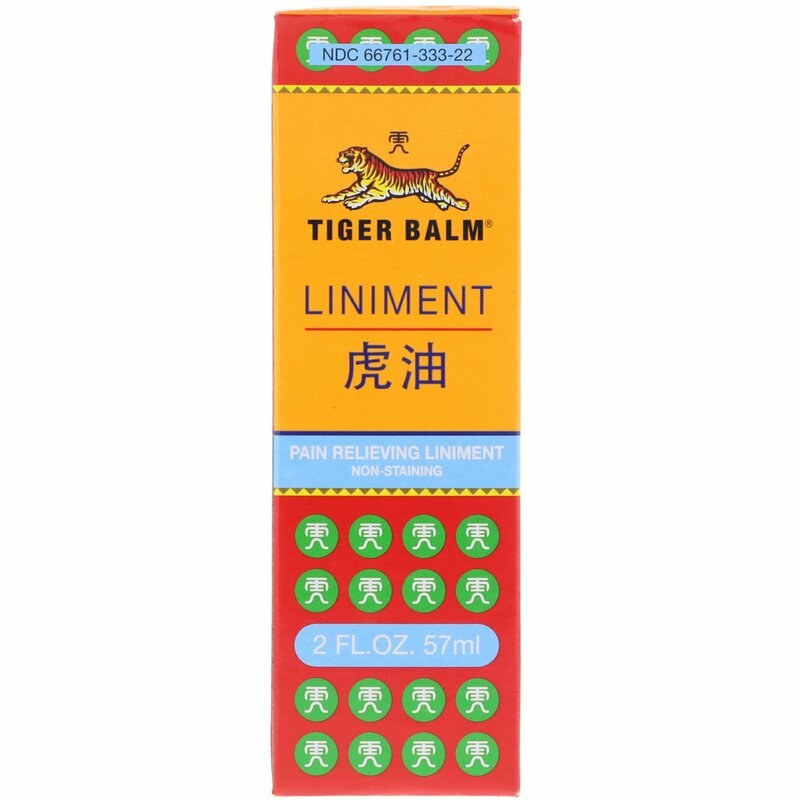 For temporary relief of minor aches and pains of muscles and joints associated with simple backache, arthritis, bruises, sprains and strains. For adults and children over 12, rub well on the affected area. Repeat 3-4 times daily. Eucalyptus Oil, Spike Lavender Oil, Light Mineral Oil. 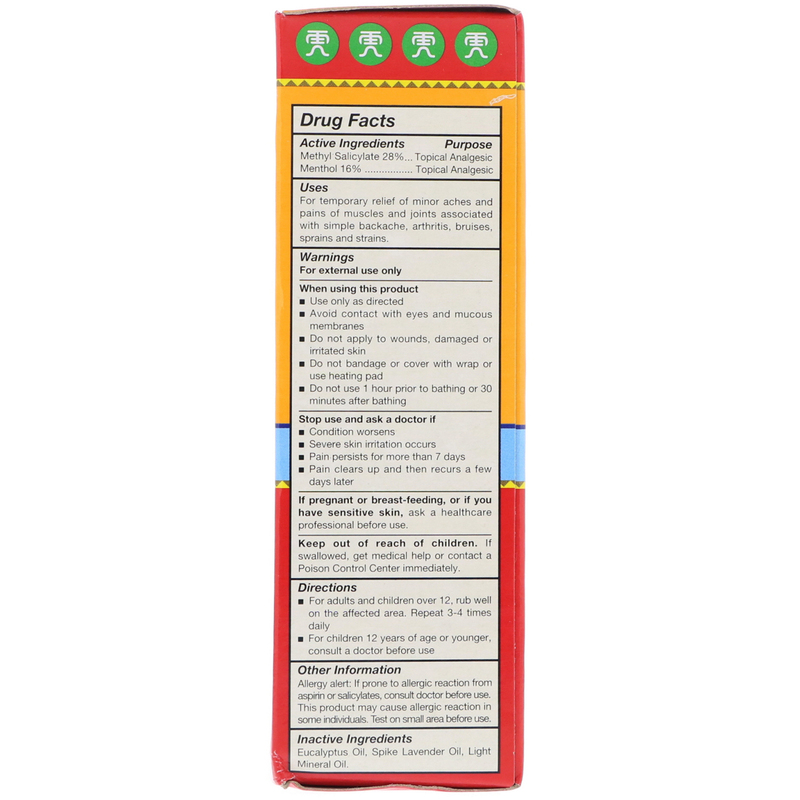 Allergy alert: If prone to allergic reaction from aspirin or salicylates, consult doctor before use. This product may cause allergic reaction in some individuals. Test on small area before use.